My favourite prize was a stay in Michel Bras hotel in France. It was amazing. I would love to win another holiday. One of my favourite prizes was a Cath Kidson sewing box - not my most expensive prize but it is a one I use all the time and as I am always sewing as a hobby! I would love to win a nice prize for our new puppy - like a pamper bundle and posh bed! A tasting menu in London. As it was lovely a Wonderful treat for myself, friend, and other prize winners and guests. I have won some other nice prizes on occasions, to the delight of my fiancé. I would like to win a short break away for a few days, Spa would be nice. Also would be a Wonderful treat for my fiancé. I think has to be either my Hunter wellies, afternoon tea or gig tickets. It's nice to get things that I wouldn't usually buy myself :) I would love to win a holiday or vouchers! My favourite was a week long holiday for 2 on Velavaru Island in The Maldives which I won off The Times newspaper...All flights, seaplane transfers & food were included..It was an incredible prize worth around £6000. To be honest I would love to win another holiday to The Maldives as we have been there twice and would like to make it the hat-trick of different Islands...It's a truly remarkable place..
My favourite prize would have to be the Pets at Home voucher I received as I got to spoil my pets. I won a really cool smart phone, which replaced the one I had that had a smashed screen and the date and time didn't work. 😂 I'd love to win stuff for my dogs! I love winning vouchers as they're so versatile and you can spend them on all sorts. Best prize was a leather jacket! Would love to treat my Mum this Mother's Day to these Yankee goodies. 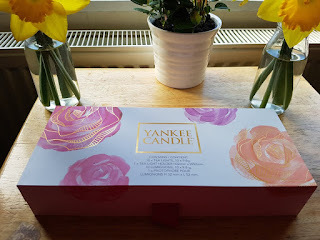 I'd love to win this, Yankee candles are amazing! My favourite prize was tickets to see Elton John which was an amazing evening. What would I like to win . . . kitchen gadgets! We are moving house soon and in need of some new kitchen items to 'dress'the new kitchen. One of my most favourite prizes I have won is a galaxy hot chocolate hamper! I enjoy a hot chocolate before bed. I would love to win a break away. i have recently won a Phillips lumea it's a laser hair removal system that i have wanted to try for ages and it works!!! I won a £150 gift card for our local pub - had many nice meals out there since. My favourite prize I have won was a living room make over I couldn't believe my luck!!! :) I have a gorgeous luxury carpet and beautiful fresh walls with nice elegant wallpaper, this to me was such a luxury as I would never have managed to pay out for such a nice carpet. My best ever win was our family holiday to Florida that I won with M&M's chocolate.It was amazing getting to take my children to Disney World and Universal Studios,really emotional!! My favourite prize was without doubt a fabulous 10 day trip to the 'Ashes' (cricket) in yes, ADELAIDE, AUSTRALIA!!!! I am no cricket fan, but this was FANTASTIC! 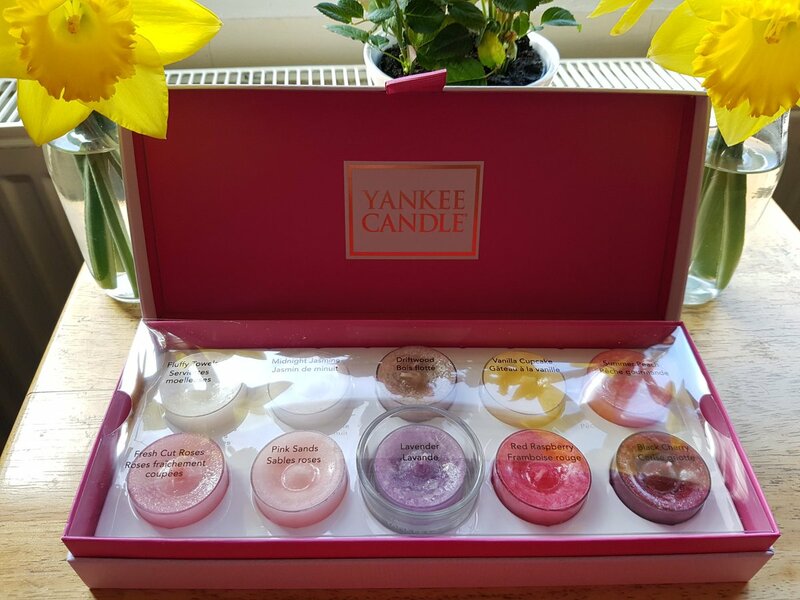 My favourite prize was a trip to Philadelphia which was fabulous, & I would love to win the candles as they are lush! My favourite prize was a trip to Cbeebies Land at Alton Towers which the kids absolutely loved! I would love to win the lottery!!! My favourite prize is my big tv,it certainly gets used a lot.I would like to win a cruise. Would love to win something personalised or a holiday. I won a lovely giraffe plushie - not a big win but it turned up on a bad day and cheered me up! My favourite was a signed, special edition set of my favourite books. Not valuable, but the best prizes are the things you really love and I know I'll treasure these forever. My fave prize to date was £1000! At the minute I'd most like to win a phone for my other half, he's been without for a while now! My favourite prize that I won was Armani perfume. I'd love to win a holiday. £100 love2shop vouchers was my favourite as I love shopping. I once won a £500 Disney princess bundle from Toys R Us. My 3 year old sister had the best Christmas that year! I won my hubby an XBox One bundle, I was THE best wife! I really want to win a new fridge freezer! My best prize was flights to Abu Dhabi after 5 years of entering competitions. I love winning things for the home and family. Many, many years ago I won £1,000, which I used to go on holiday. I won BRIT tickets, many moons ago, was a good night! My favourite prize I have won was a spa break at Champney's. Just what I needed at the time. I would love to win a new car. A Hypnos bed, it’s so comfortable, I’d love to win a holiday! I won £500 of fashion vouchers and I do love my designer clothes. We managed to make it last for ages as well so got brilliant value. I have only been doing comps since September and I have won a few prizes already. My favourite has to be the Automatic Pot Stirrer! I would love to win a new mobile phone. I've never won but I'd love to win anything to make our house look and feel more like home as we have not long moved in and it doesn't feel like ours yet! I won some vouchers for River Island and it was wonderful to treat my daughter to some new items! I won a stay at a Spa in cornwall with some treatments. Cornwall is our very favourite place, we even got married there. Id love to win another break away. A 49" 4K Smart TV, won in the 2017 Advents. A laptop would be nice! A one night stay with dinner at Le Manoir. It's always nice to win anything! My favourite prize was a case of wine! My favourite prizes are tickets to local shows. I'd love to win a new car or a luxury holiday somewhere. My favourite prize was an all inclusive trip to Lisbon.. I can't believe I won I need to pinch myself sometimes! A Go Jetters bundle, my son loves the show so this was perfect for him! I won a diecast corgi car once, that was nice. A Joules dressing gown for my wife. Would love to win a holiday. I have just won ticket to the Brit Awards, so I am super excited to go next week. I'd love to win a Soda Stream as I drink so much sparkling water and don't like all the plastic that I throw away (recycle). Best prize so far was £250 worth of wine. Love to win a sofa, ours is beyond redemption. My favourite prizes have been days out with the kids which we would not have been able to afford. Babe the Sheep pig live was a good one. Best was probably £500 Argos vouchers but would love to win a family holiday. I cant think of a prize I've won! I won a "Princesses" weekend at Disneyland Paris for the family - it was fantastic! One of my favourite prizes was tickets to see The Gruffalo. My son loved it and it's always nice to win things we would not have had the spare money for. Many years ago, I won a cottage break that was very much needed as lots of life stuff was taking over. These days, I'd love to win something frivolous - candles, a lipstick, a little shopping voucher, a little something to brighten my day! Any win would be nice. I especially love yankee candles. My favourite was a whale watching holiday to Mexico. Every comper dreams of winning a car, and I've been a comper for 33 years and not won one yet, but they are seldom given as prizes these days so I think I've missed my chance. So what I'd really love to win is a long weekend in Vienna. My favourite prize was some weight watchers kitchen appliances.. I won a £500 IKEA voucher not long after I found out I was pregnant with my daughter - that was the nursery sorted! My best prize was a holiday to Hong Kong, then on to New Zealand, all business class flying and top hotels! It was fantastic! I need a new car, so winning a new car would be great! My favourite was a desert safari around Morocco and I'd love to win another holiday. An xbox 360 back in the day when my son really wanted one & I won it about 2 weeks before his birthday. I would love to win a telescope. My favourite prize was a £22,000 Suzuki I won in 2014 from the Suzuki #giveanSCross giveaway - we still have it now and it was perfect timing as we had our second baby in 2015 and needed a bigger car. I'd love to win a family holiday to Florida - I've won trips to St Lucia, France & Vancouver, but I'd love a big family holiday. The best prize I have ever won was an ipad. I put it away and gave it to my daughter for Christmas - she was delighted! I would never have been able to afford to buy her one. My favourite prize was my HUGE TV and Sky subscription! Love it!! Joint national trust membership as it gave us so many free days out! my favourite prize was with cadburys.. a trip to Berlin on a private jet with £500 spending money. I've had nothing to rival it since! Best prize - Ipad! Still using it to this day! I would absolutely love to win a family holiday or cottage stay, something similar to this. I won some Argos vouchers that I darent spend because I know the minute I do something will stop working and need replacing lol. my favorite prize was a kindle. Now I need to win another one as the screen on it broke recently. Saw 4 artists in 4 cities, flights hotel, spending money, new phone. Fly to Vegas, Singapore, Brazil and Sydney. Love winning things I can share with friends and family - on my wish list is PS4. a few years ago i won vip weekend tickets to download festival, as a download festival goer, we loved it even more! My favourite prize has been a spa day for my mum! I;d love to win an iPad for work as I work from home! Has to be my ipad. The best prize I have ever won was the Radisson Blu Round the World competition. I've won a car before too, but could do with winning a new one now! For me it was a Karen Millen voucher as I was able to treat not only myself with a top but also my sister and daughter. I won a giant beanbag once, it is brilliant! My favourite prize that I ever won was a dishwasher, because it was lovely to have a break from washing up. I would love to win another dishwasher, as after ten years it sadly died, so I don't have a dishwasher any more. My favourite prize was a Samsung Fridge Freezer it’s awesome! i won a car seat for my little boy and its perfect!!! My favourite prize was an ipad. I was so happy to have won it :) I would love to win a holiday. 5* holiday to Hawaii from a pack of sweats. I won a new phone for my mum she was stuck in the stone age with her Nokia. I once won a bird-watching holiday in the Highlands. A dream of a prize! I'd love to win something like that again. I won an amazing £300 Microwave! Won 2 tickets to England v Australia at Twickenham last year. We are mad Rugby fans and tickets for that match were like hens teeth! For weeks beforehand my hubby kept saying 'have you won tickets yet?' (like I can win to order lol) Won 2 days before the match! Still trying to win a holiday abroad but 25 years and still waiting for that one lol! My favourite prize ever was a weeks stay with Forest Holidays in a cabin complete with a hot tub.I would love to win a smart tv to replace my very ancient one. Best prize ever has been a weeks holiday with Forest Holidays in a cabin with a hot tub. I would love to win a new tv this year to replace my ancient one. I won an elephant book table. I would like to win a campervan but we can all dream. My favourite prize was roller blinds worth £2000. Every time I see them I admire them. I would love to win a family holiday as this is something we can't afford at the moment. My favourite prize was a Parker pen that I won in my first compeition when I was about 18. Almost 40 years on I still have it in the box it came in. I still remember the thrill of it arriving unannounced in the post. Now I would love to win a phone be for my husband. I won a lovely notebook once, not been so lucky with wins but would love a Humax freesat box. I won all the Love Your Hair Awards winenrs a few years ago. It was one of those prizes that made it worth the effort :) I'd love to win a new yoga mat (I keep trying). A spa stay at Pennyhill Park! I won an ipad a few years back on a fb comp and I use it all the time! I would love to win a sofa but not particularly fussy - happy to win whatever! I haven't won anything yet but I would love to win a family holiday! I haven't won anything yet but would love to win a family holiday somewhere nice and warm!